The holidays are busy. Crazy busy. I often find that I have no time to sit down for a proper meal, which used to leave me with a Christmas cookie breakfast, a fruitcake lunch and a stomachache by dinner. 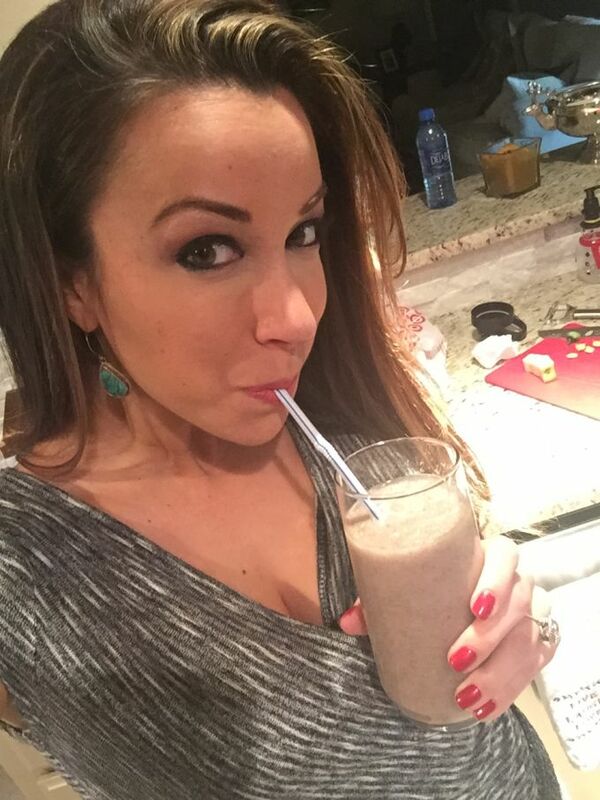 So, I now use quick, veggie and fruit smoothies to pack in the nutrients in between treats. I usually make a “green drink” but this one has a more purple tone, which makes it a little less intimidating if this whole concept seems a bit odd! 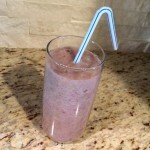 Simple, refreshing, antioxidant-packed smoothie. Perfect for days when you don't have time to sit down and enjoy all of your daily fruit and veggie servings. This is more mild than a standard "green drink" so it is great if the green look of other veggie drinks scares you off! 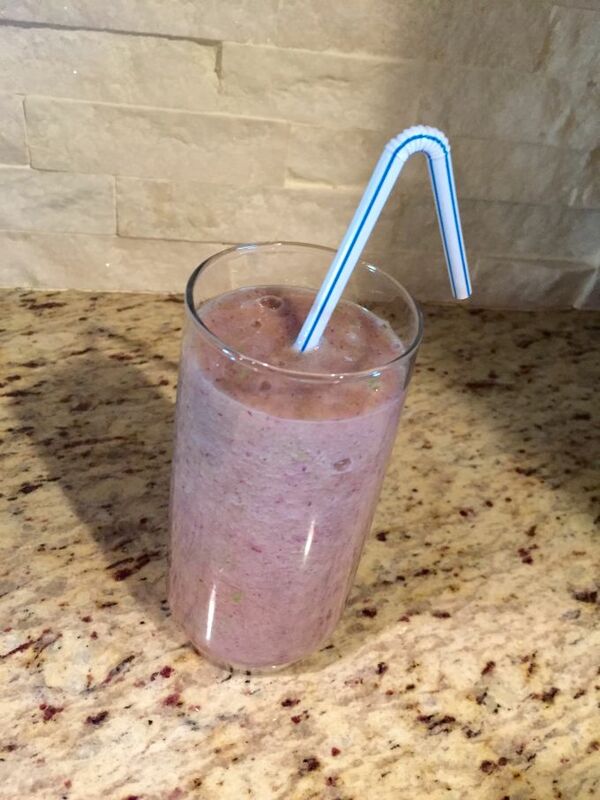 Mix all ingredients in a blender. 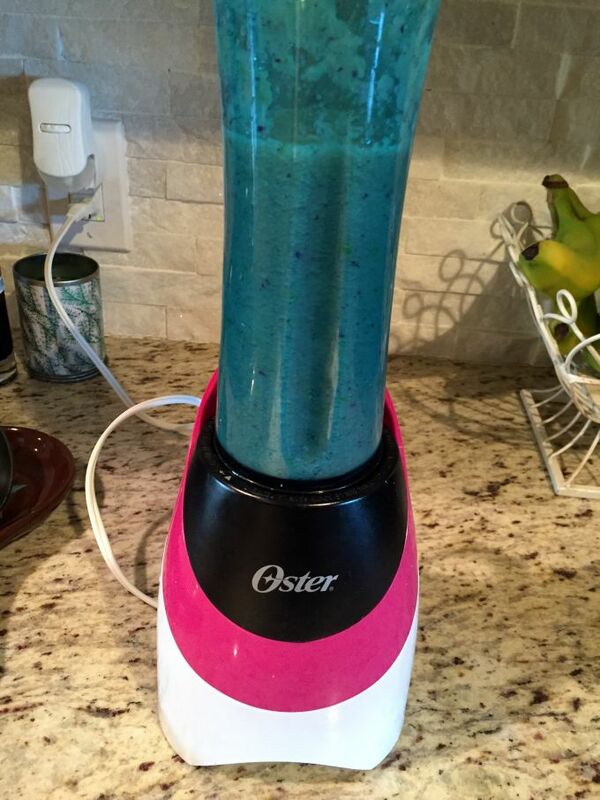 I use the mini blender you see in the pic but any will work. If it is too thick, add water. If it is too thin for you, add a couple of ice cubes.